JJ Locksmiths is an small, family run, independent locksmith service based in Bromley offering a professional locksmith service to both domestic and commercial customers throughout South East London and North Kent. We always ensure that we leave our work area clean and tidy following our visit. The majority of our business arrives through recommendation from existing and past customers. 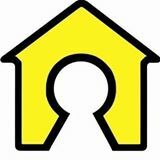 We pride ourselves on offering a competitively priced, high quality locksmith service with excellent after care, and reviews to prove this over the web. With our experience we strive to offer you an accurate quote, with no hidden extra's, on the information provided. For emergency appointments we aim to attend your property within 30 minutes, or at a given time convenient for you. As an ever growing business we receive many calls via customer recommendation and from reading reviews. So whatever your lock needs contact me Joseph directly on the numbers provided/email and I will be happy to help.